International (TWR Press Release) — Today is World Radio Day, and Trans World Radio takes the opportunity to join with organizations around the world in celebrating the role of this powerful medium in shaping our lives and bringing communities together. UNESCO established the observance for every Feb. 13 to draw attention to the importance of radio as a low-cost medium that reaches “the widest audience in the world.” These are the very factors that have helped make TWR the largest Christian media organization in the world, broadcasting gospel programming in more than 230 languages to a potential audience of 4 billion people. Even as TWR grows its ministry in emerging technologies, the ministry continues to invest in terrestrial radio. Three recent projects make the case: A $3.8 million campaign turned TWR Bonaire into the most powerful AM station in the Western Hemisphere last year; the new Silk Road Transmitter is being installed in Central Asia to reach out to people who have no other way to hear the gospel; and the $1.25 million Oasis project underway today to reach into the troubled African giant, Nigeria, and its neighbors. 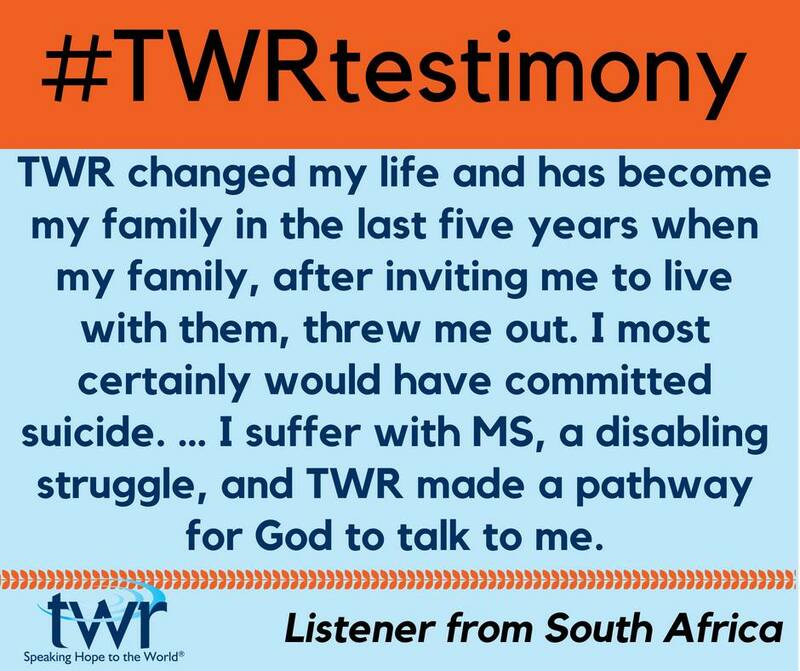 Find ways to join TWR’s work here! Header photo courtesy of Fancycrave via Unsplash.